Disclaimer: This is not a true story, as we can't accurately predict the future. But it's certainly a warning. 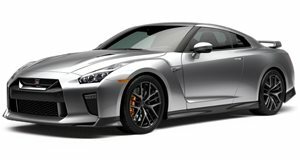 Here&apos;s one example (and we hope we&apos;re wrong) of what the future could be like: It&apos;s 2061, 50 years from now, and the grandson of a present day car guy comes across his recently deceased grandfather&apos;s long-buried treasure, a 2012 Nissan GT-R. Powered by a 3.8-liter turbocharged V6 with 530hp, the grandson is sadly enough not familiar with this nearly extinct technology, which is only used to power the cyborg army vehicles. You see, this kid was raised with the belief that cars running on a combination of a super-duper lithium-ion battery that was assembled in China (still keeping their currency artificially low) and bio-diesel fuel sourced from dandelions, is the only and best way to power cars (which are now referred to as &apos;pods&apos;). After doing a bit of research, the grandson discovers that his grandfather was someone known as a &apos;gearhead.&apos; These types of people no longer exist. No, the grandfather didn&apos;t drink gasoline, but it was the source that helped make his beloved GT-R the incredible machine it was. Fortunately there&apos;s still hope, as the makers of the GT-R, Nissan (who now makes fusion-based toaster ovens and curling irons), built their vehicles to last for decades. Despite the body work, the mechanicals are still in good condition. He determines it&apos;s possible to get the GT-R up and running again, but there&apos;s still a problem: he&apos;d have to steal gasoline from the cyborgs. So the point of this theoretical future scenario is to cherish the cars we have today because the above prediction could be our future.